W.C. Fields famously said that he “never worked with children or animals.” His loss: more cute cat pics and family photos for us. However, if you’ve ever wrangled the talent at a kids’ birthday party, you might think he had a point. 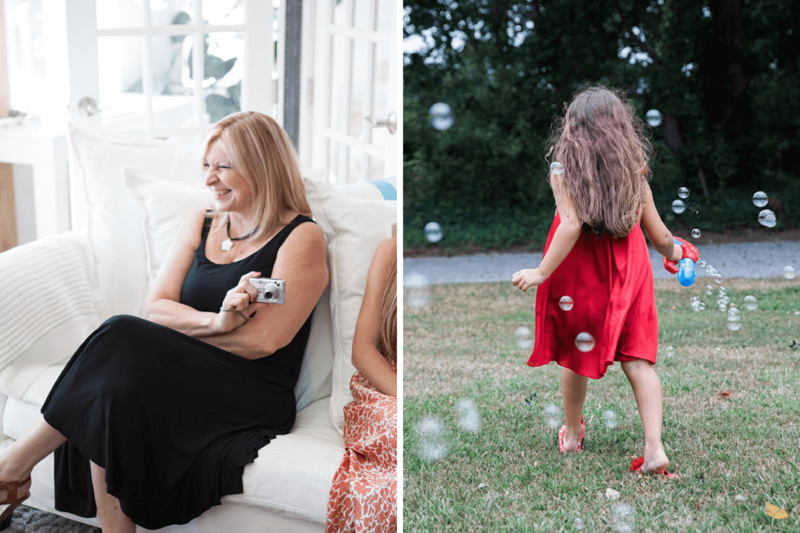 We asked Ana Gambuto, one of the best family photographers we know, for tips on how to get beautiful photos from the ever-so-slight chaos of the average birthday party. Start shooting 45 minutes before arrival. “Join Us (Dots) – Pink/Gold” by Linda and Harriett. Image courtesy of Brooklyn Family Lifestyle Photographer Ana Gambuto. We know, it sounds like cheating! Aren’t you supposed to take candids during the party? You can and should, but the truth is, the photos before every kid gets sugared up and overstimulated are good ones for the family album. Also, at this point in the party, nobody’s touched the food or the decor, so you have an unsullied and perfectly art directed backdrop. For now. 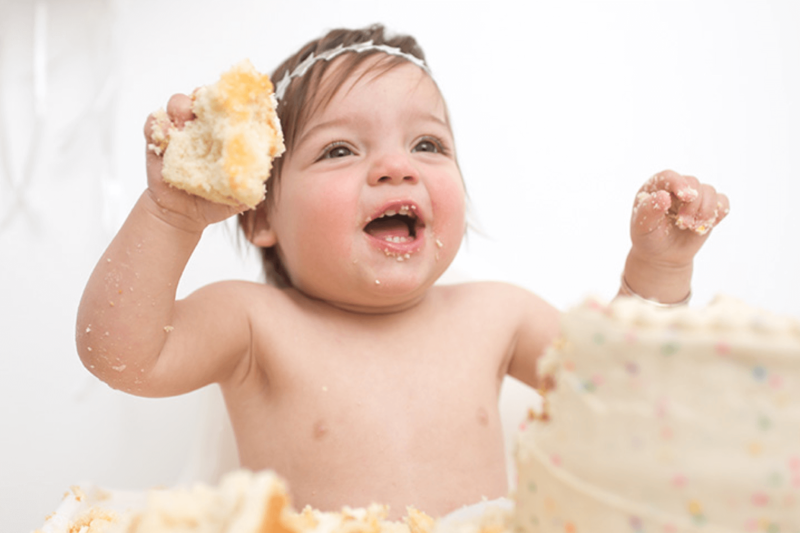 Image courtesy of Brooklyn Family Lifestyle Photographer Ana Gambuto. Spills are inevitable, so plan accordingly. It’s also a good way to compromise with your superstar: your kid can wear a parent-pleasing number in photos and switch to jogger pants and a t-shirt after. It sounds obvious when you hear it, but remember that you tower above your subject. The best shots of kids are ones taken at their eye level—so start practicing your squats. If you have a newer model iPhone, use Portrait Mode. It adds a lot of color depth and everybody just looks better with it. Professionals pay good money to color-correctors and retouchers, and this is the designer knockoff version. Instant photo booth, just add kids. 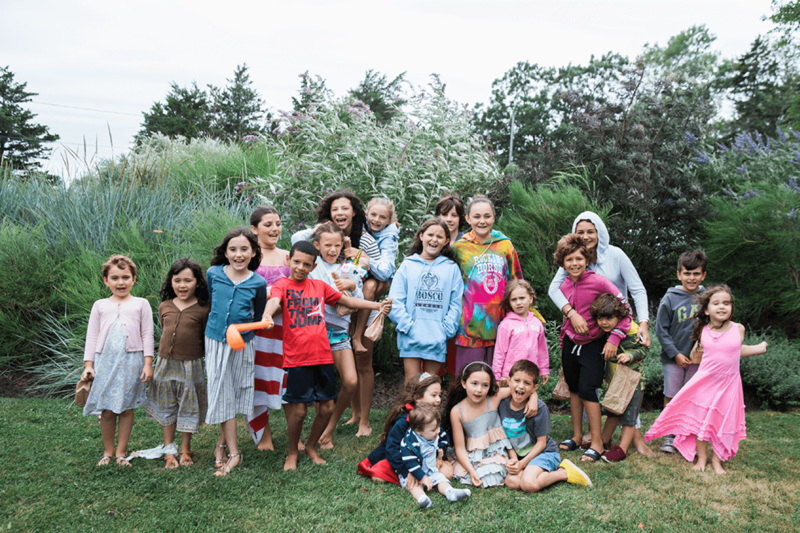 “Sea of Love” by Paperless Post, Image courtesy of Brooklyn Family Lifestyle Photographer Ana Gambuto. Find a blank spot on the wall and use a few columns of wrapping paper to make a very photogenic backdrop. Protip: make sure to extend your paper to the floor, so your shortest guests can enjoy. Bonus tip: encourage guests to take selfies or party shots with you and then add them to your event’s online photo gallery for a wider selection of snapshots. Resist the urge to livepost—or at least the feeling of obligation to do it. Nobody does live TV well outside of Saturday Night Live, and you’ll find that your time is better spent shooting more during the party and curating later. Bribery will get you everywhere. This tip is for any parents with potential sulking siblings. 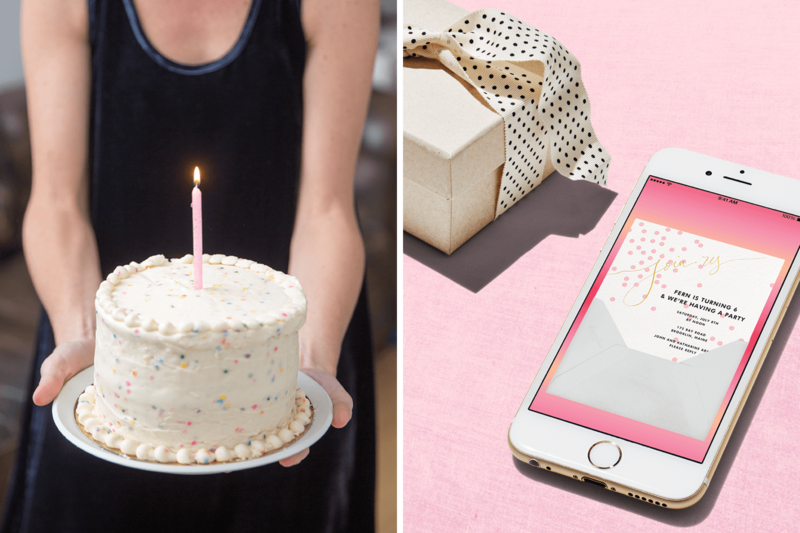 Pack a treat or some other kind of incentive in the event of a photobomber or other jealous birthday non-honoree. It’s one day, it won’t ruin a lifetime of good parenting. The sad part is that you can’t plan for perfect candid portraits. The happy part is that you don’t have to. Something wacky will inevitably happen, and it is totally okay for a spill, a crayon-on-wall portrait, or similar party mishap to appear in your photos. In fact, we’d say those make the best photos of them all. Just focus throughout the party on taking a lot of shots and not always asking guests to pose or make eye contact with the camera. You’ll get something good, we promise. 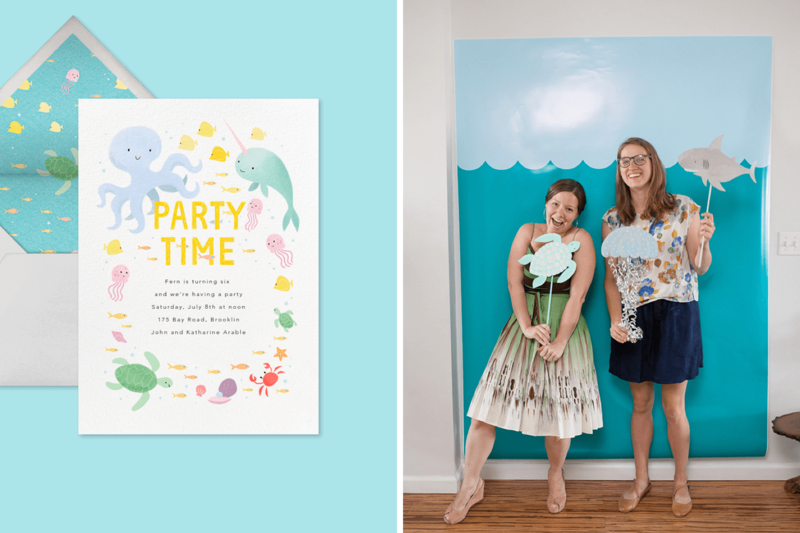 Take it to a photo finish with one of our kids’ birthday party invitations.